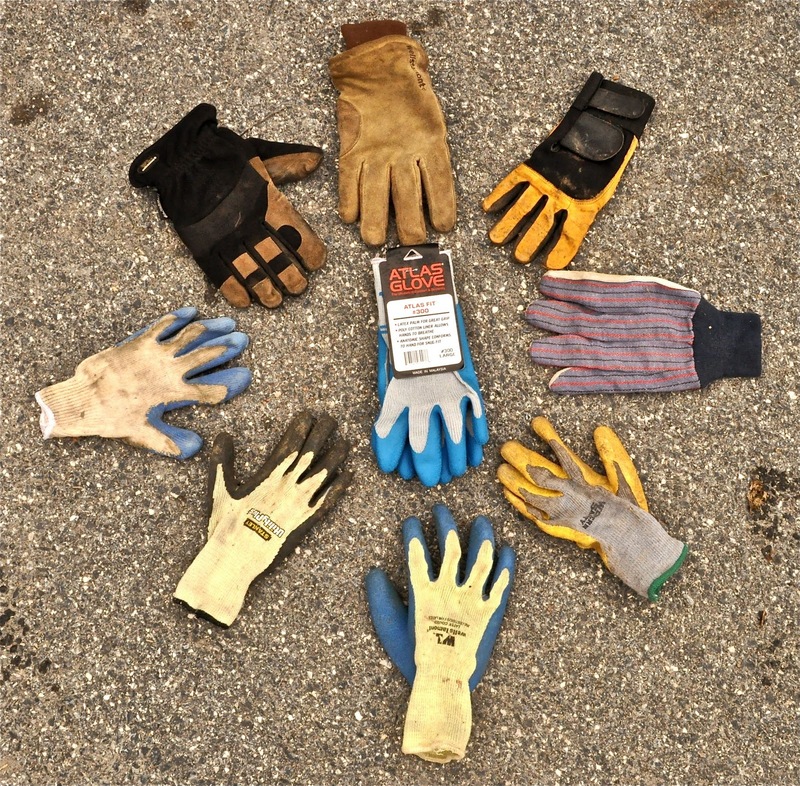 ROCKIN WALLS: Tool - Gloves what's your flavor? Yes one could say what's your flavor? Gloves may be a lot like beer. Everyman and woman have their own taste. Some love beer some don't even drink beer. When it comes to gloves I love them. I know a lot of great stone masons who like to feel every stone. They feel it is important for them to understand what the stone is saying. For me gloves are a must. I hate when I drop a stone on my fingers. My gloves have saved my fingers way too many times. I like knowing my fingers are protected. This is why I've spent so much time looking for the right pair of gloves. Most of the rubber gloves I tried last me 1 or 2 days. Most of these would start blowing out between my fingers. The all leather gloves are way to bulky. The mechanic style gloves are nice but may last 2 weeks and start blowing out on the thumb and right finger. At a price of $25 they are not cost effective to work with. The search for the BEST pair of gloves has come to an end. I have tried everything from leather gloves to rubber gloves from hardware stores. Prices range from $4 - $25. In second place Wells Lamont rubber gloves found at Walmart for about $4. #1 BEST Choice in gloves for working with stone are Atlas Fit 300. I found mine on the internet. You could easily pick up a bulk pack of Atlas Fit 300 (12 pair for $35) that's right around $2.92 per pair. I easily get a hard week of work if not 2 out of each pair. Thats hard to beat! 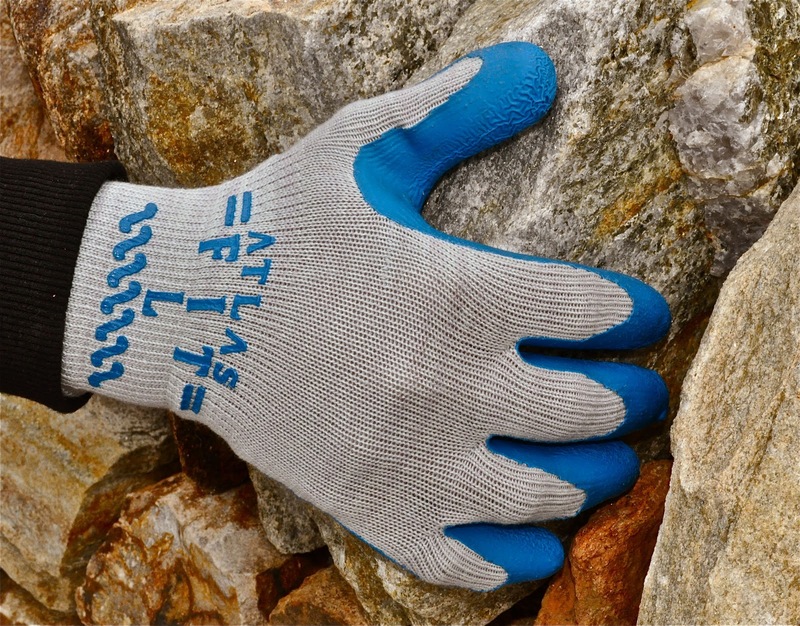 They offer a great fit and great grip. They also hold up well in the washing machine. What are your hands worth? I now see Atlas Fit 300 makes a kevlar model. Whats next?